The sky is the limit when it comes to choosing a course of study at CPUT. From mastering the technology required to build a formula one racing car to designing fashion collections, CPUT has something to offer for all who have their sights set on a successful career. And to help you make the right career choice, CPUT students and staff members will showcase the university’s more than 70 high-quality programmes at this year’s Open Day. The event will take place in the Multipurpose Hall on the Cape Town Campus and will run from Thursday, 9 May until Saturday, 11 May. On Thursday and Friday interested parties can visit the Open Day from 9am till 4pm and on Saturday from 9am till 3pm. 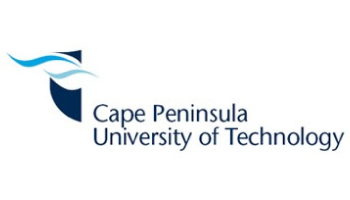 Open Day Coordinator, Marilyn Cloete urges Grade 11 and 12 learners as well as individuals interested in embarking on a study programme at CPUT,https://sastudy.co.za/entity/cape-peninsula-university-of-technology/ to attend the event. Parents and guardians of prospective students are also encouraged to attend Open Day and see what CPUT has to offer. Cloete says visitors will get first-hand information from students and staff members on the unique programmes on offer at the university. All visitors will also receive a CPUT prospectus, information pamphlets on courses and a CPUT Application form for the 2014 academic year. Individuals are welcome to attend at any time over the three days.